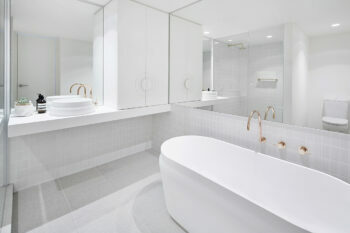 Royal Elizabeth are premium residential apartments located in the cities knowledge precinct where Carlton meets the CBD. 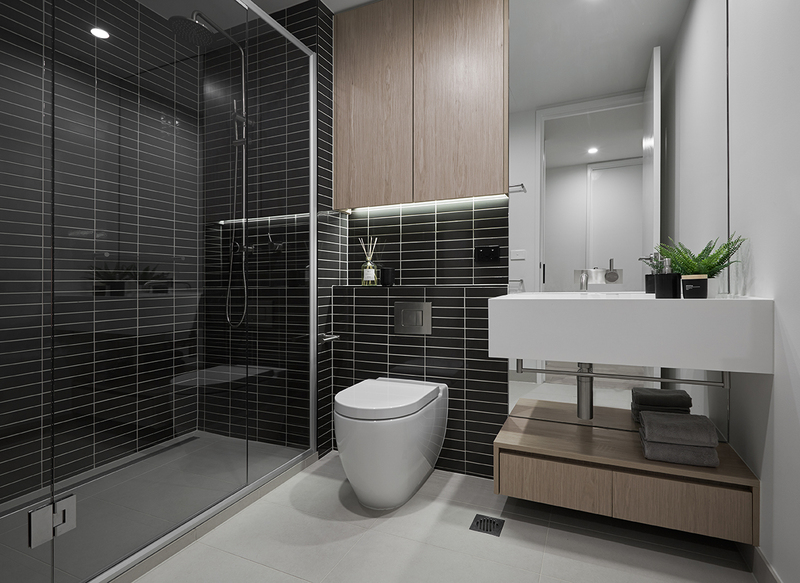 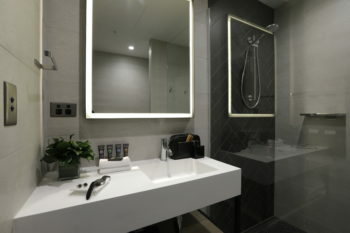 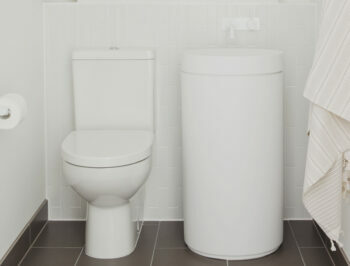 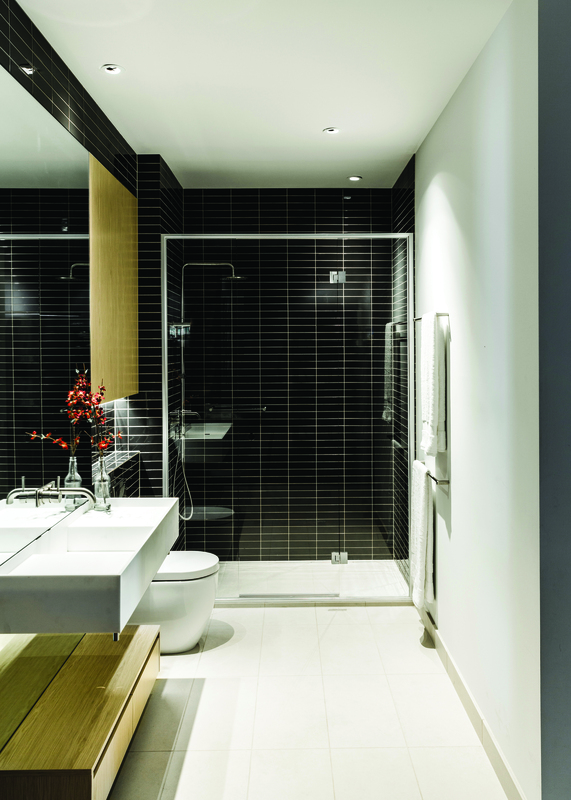 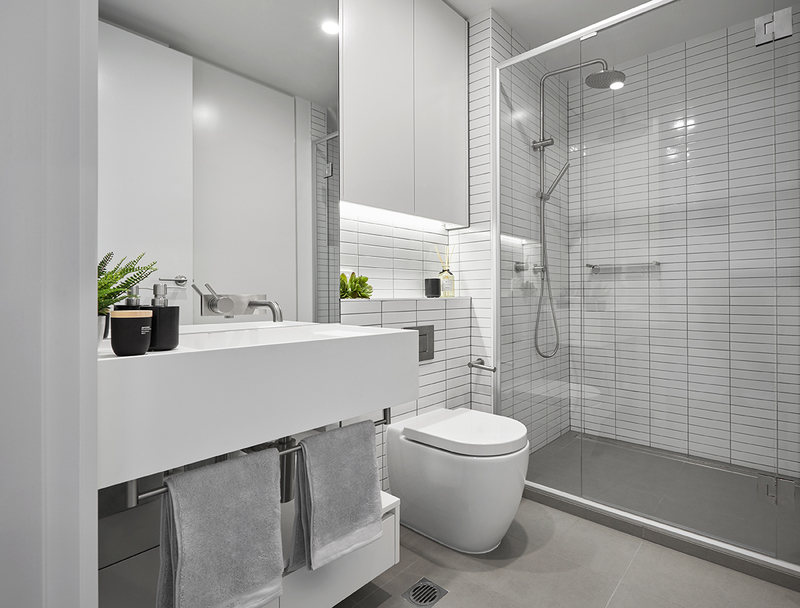 Consisting of 180 high quality apartments across 18 levels, the apartments of Royal Elizabeth feature custom basins created by Omvivo exclusively for this development. 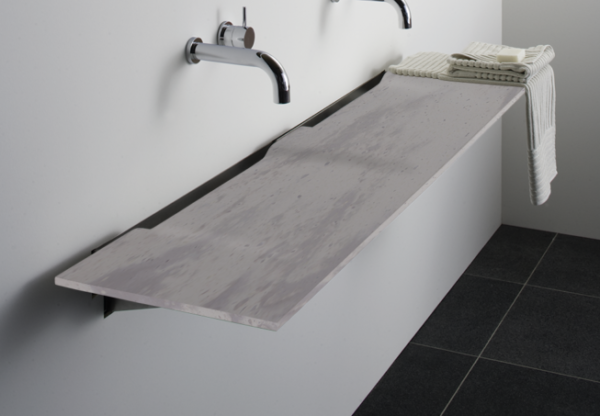 The custom Royal Elizabeth basin is a contemporary piece designed in 2 sizes 800mm and 1000mm. 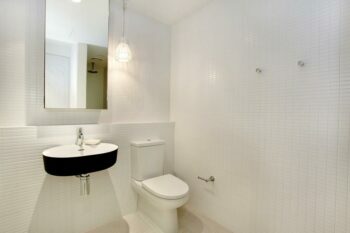 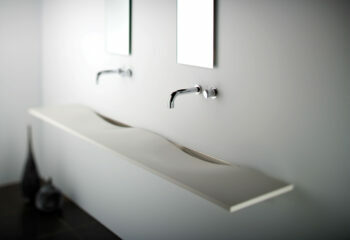 The 800mm basin has a left or right hand bowl with a large shelf on one side and a smaller shelf on the opposite side. 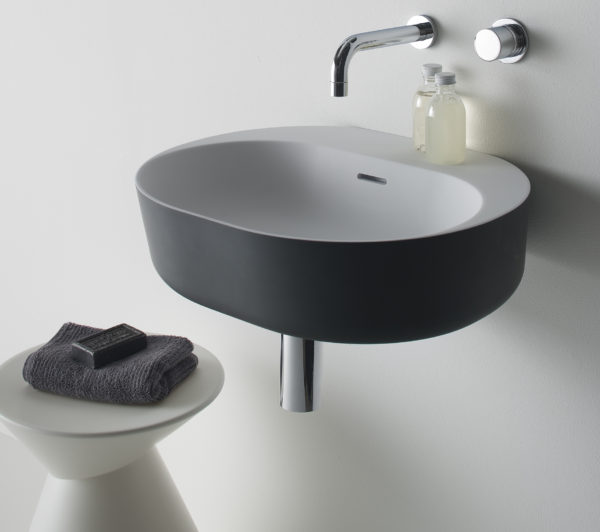 The 1000mm basin has a centred bowl with two large shelves on either side for extra convenience. 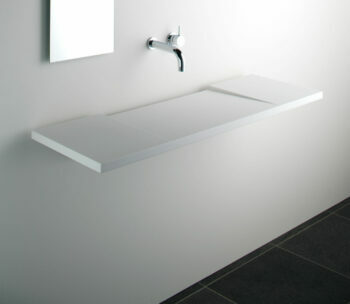 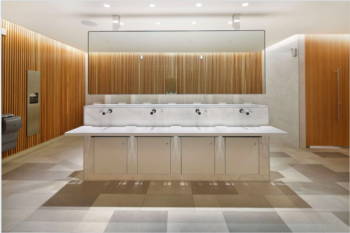 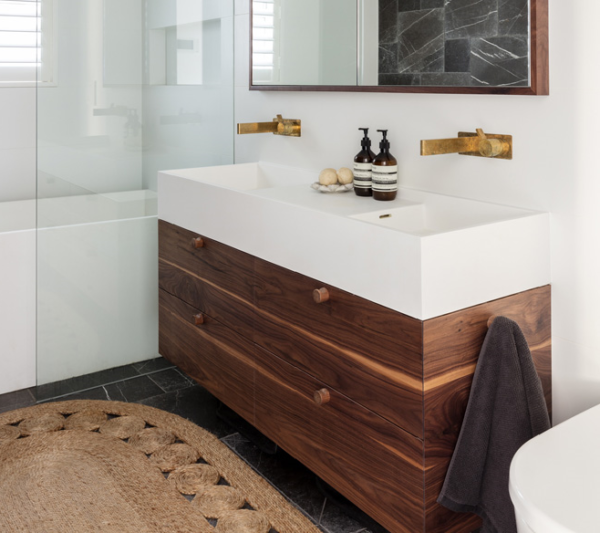 These basins provide modern functionality for these luxurious bathrooms and work perfectly with the unique interior and exterior of the building.